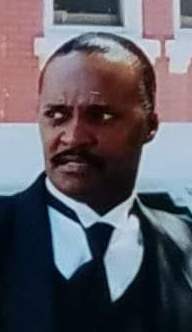 Death Notice for Vincent A. Eggleston, Sr. | Judd-Beville Funeral Home, Inc.
Vincent A Eggleston Sr. 59, of Bethlehem was born November 1, 1959 in Sharon, PA. He was the son of the late William L. Eggleston and Barbara J. Eggleston. On January 14th, 2019 Vincent A. Eggleston Sr. went to glory. Vincent was married to Alethia Eggleston for 21 years. He was a joyous, comical man who enjoyed cooking, dancing, singing, music, sports (Eagles and 76ers) and his family. Known for his famous cabbage, Mac and cheese, and fried chicken. Leaving to cherish his memory are his children from previous marriage to Wanda Malone: Latasha Connor, Vincent Eggleston Jr, Latoya Brown, Lamar Eggleston Sr and Vanita O’Neal. Children from current marriage: Azzah Donatelli, Bethany Lewis, Thomas Eggleston, and James Eggleston. Brothers: William (Bebe) Eggleston, Tony Eggleston, and Garfield Hackett. Sisters: Judy Alexander, Melissa Hairston, Tara Northington and 20 grandchildren and 1 great grandchild, he will be greatly missed. Vincent was predeceased by his father William L. Eggleston and mother Barbara J Eggleston and brother Robert (Bobby) Eggleston. Celebration of LIfe will take place on Saturday at 11:00AM in Union Baptist Church 302 N. 6th Street, Allentown, PA 18102. Visitation begins at 10:30AM.